Not only is Miami Florida’s most populated metropolitan area, but the city attracts tourists from across the country and around the globe. While that’s excellent news for the local tourism industry, it can make things difficult for Miami drivers. Whether it’s an increase in traffic during Heat games, construction on the Dolphin Expressway or on the Airport Expressway after a summer storm, accidents happen each and every day. Unfortunately, police accident reports can often fail to evaluate the entire scene and take into account all aspects of the accident. That’s where Saffron Investigations comes in. From a single car accident to a multi-vehicle crash, we have the experience, technology and resources to provide accident reconstruction and investigation throughout Miami and the surrounding South Florida communities. You deserve to have all of the facts and evidence averrable to you, and Saffron Investigations is here to ensure you receive just that. Vehicle accidents can happen in the blink of an eye, and the trauma of the incident can make it difficult to get a true understanding of what events and factors lead up to the crash. At Saffron Investigations, we are dedicated to investigating all aspects of the accident, including road conditions, weather, sign visibility, witness testimonies, traffic hazards, etc. This allows us to create a complete picture and an unbiased, detailed accident reconstruction. Our experienced Miami accident reconstruction professionals will visit the scene, take photographs and evaluate the perspectives of each of the vehicles involved in the collision. In fact, we have extensive experience providing accident reconstruction throughout Miami, including: I-95, the Turnpike, the Palmetto Expressway, Don Shula Expressway, the Rickenbacker Causeway and all major Miami area roadways and neighborhoods. No one is better prepared to assist you. In addition, all of our investigative findings are compiled and presented in a comprehensive report format, and we can also translate findings and assist with any requested claims management. Knowledge is power, and Saffron Investigations is pleased to offer you the accident reconstruction and investigation services necessary for gathering all the facts. Between Miami’s many colleges and universities, tourist attractions, beaches and the Miami Airport, local roadways are a mix of local drivers, seniors, students and tourists, and even the most cautious and experienced drivers get into accidents. 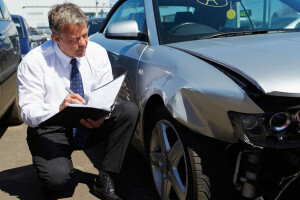 If you need accident reconstruction services in order to build your court case or support your insurance claim, Saffron Investigations is here to help! From Model City, Morningside and Flagami to Coconut Grove, Brickell, and Miami Beach, experienced and detailed accident reconstruction is always just a phone call away. Contact us today to get started.